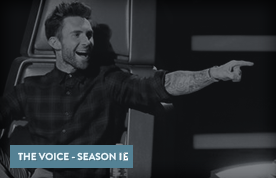 It’s easy to forget that Maroon 5 launched around the turn of the millennium, in part because the band is having its best year yet in 2018, between the one-two punch of singles “What Lovers Do” featuring SZA and “Girls Like You” with Cardi B, and an invitation to perform at the Super Bowl in February. But along with those career highs — major benchmarks for a group that’s released six albums since its 2002 debut “Songs About Jane” — came new personal lows for 39-year-old frontman Adam Levine. In December 2017, Jordan Feldstein, Maroon 5’s manager, Levine’s childhood friend and Jonah Hill’s older brother, died unexpectedly at his home in Beverly Hills. According to the coroner’s report, a pulmonary thromboembolism was to blame, and the death was deemed “natural” despite the presence of multiple used nitrous oxide Whip-It canisters in Feldstein’s bedroom. “Jordy,” as Levine calls his late confidant, might have advised his client on how to navigate the wave of backlash he’s been receiving for agreeing to perform at Super Bowl halftime. Fellow celebrities like Rihanna and Amy Schumer are urging the band to bail on the game in a show of solidarity for Colin Kaepernick and other NFL players who knelt on the field during the national anthem to protest racial inequality and police brutality. The performer is also forced to rely on his own gut when it comes to managing his heavy schedule. Between his work with NBC (where he’s launching a show in 2019 called “Songland,” on which he’ll have a behind-the-scenes EP role), running his production company, 222, and being dad to two young daughters (Dusty, 2, and Gio, nine months) with model Behati Prinsloo, Levine has his hands full. Even for the David Dobkin-directed music video for “Girls Like You,” which features Levine standing back-to-back with the likes of Gal Gadot, Ellen DeGeneres, Aly Raisman, Sarah Silverman and Tiffany Haddish (it’s logged nearly 1.3 billion views on YouTube), the singer personally reached out to each of the 25 women on his wish list. “Girls Like You” spent seven weeks at the No. 1 spot, making it one of Maroon 5’s biggest hits. How did it come about? It was an eleventh-hour addition. Starrah wrote just a verse and chorus, and I thought, “This song is everything.” I had to beg, like, “Guys, we’ve got to get this song on the record. I don’t know why — we just have to.” Same thing happened with “Sugar,” by the way. I’m good under pressure. I wrote the bridge on an airplane in the middle of the night. “Maybe it’s 6:45 / Maybe I’m barely alive / Maybe you’ve taken my s— for the last time.” I was, like, “Huh, interesting considering the times.” I saw these words gain new meaning after the fact. Look what just happened: We had a historic [midterm] election with how many women turned out and ran. Like, hell, we can actually do this! That’s why the iconography of the video is really important — for all of us to remember as men to support these women. Let’s be pillars of strength and support and not approach it from a defensive standpoint, or one that would suggest I know anything about how a woman would feel. Remain reverent to what is happening and not claim to know. Just be a set of ears. What connected you to the plight of women? Having little girls. But being a male who is a prominent public figure is a very tricky place to be. There are dangerous waters to navigate. You always want to be on the right side of something you feel passionately about. I have two young daughters, and to think about them being mistreated at all — ever — made my blood boil. So we went for it because I felt that as long as I stayed close to my heart with this concept, I could never go wrong. … In the video, I was doing it for my kids and my wife. If anyone doesn’t understand the intentions, f— ’em. I told Cardi, “I want you to put something down that shows your fierceness as a woman and say it however you want.” I knew she was going to murder this verse and bring the song to a whole new place. She was vital. I begged her to do it. Only in the last five years have you loosened the reins on being the primary songwriter for Maroon 5. Was it a hard decision for you to agree to work with others? Yes and no. You can’t do the same thing forever. You can’t write about the same songs forever, even though a lot of our fans would probably prefer that. … We were self-contained for three albums pretty much all the way through, and we got to the point where we needed to make a change. I had exhausted all of my abilities as the person who had taken the reins. I was feeling, maybe unconsciously at the time, like I needed help. Or I wasn’t getting it. Working with outside writers wasn’t something I wanted to do. I had not [allowed] anything outside of my own control. … I could have even trusted the band more, but I didn’t. Still, maybe extending myself to outside writers was a positive step for all of us as a band. And it led to two really massive songs right off the bat. That’s the thing with music, man, it’s like developing the ears to hear through a song that’s tailor-written for Rihanna or a female artist and being able to say, “I can put my own stamp on this.” “Moves Like Jagger” is a great example. It was written for a girl: “He got them moves like Jagger.” And I was the a–hole with the audacity to say, “What if I had the moves?” When everyone looked at me like I was a f—ing maniac, I knew I was onto something. [Collaborating] was an experiment — just kind of dipping my toe in the water — and it was very natural. We didn’t sit around and have long philosophical conversations about where we were headed. The best idea wins. People will send songs, and sometimes they’ll need nothing, and sometimes they’ll need a lot. It depends on whatever kernel of greatness I can hear with my own ears and seeing how I can expand on that. Writing music is ego-less; you have to be completely willing to make a fool of yourself by presenting a horrible idea, because sometimes that horrible idea will be the best thing in the world. You need to have a total lack of self-consciousness. It’s so nuanced. It’s funny because, for as simple as pop music is, it’s so complicated in its simplicity. When I get into debates [with friends] about the pursuit of pop music versus the pursuit of artistry, I always say that, to me, it’s so much scarier — and it makes you far more vulnerable — to attempt to connect with everyone. When they reject that, it hurts more. So I like that challenge. I like trying to turn the whole world on. How fierce is the competition for hit songs these days? If there’s a song I fall in love with, I fight as hard as I can to get it. But there have only been a couple of incidents where, in the pursuit, you get caught up in weird squabbles. I stay as far away from that as I can because, in songwriting, the money can’t be in the room. You should be thinking, “What’s the best possible thing we can write right here, right now, with these people?” As long as that mind-set remains unfettered and not tainted, the potential is limitless. It’s so hard if people have agendas. Do you know when you have a hit on your hands? I never know. If you were to break it down scientifically, when I’ve had that feeling, more times than not, I’ve been right. So yes, I have a good track record. But I’ve also felt very passionately about some songs that didn’t go anywhere. I thought “Won’t Go Home Without You” [off 2007’s “It Won’t Be Soon Before Long”] was going to be a No. 1 hit, and everyone all over the world would be singing it. And it was one of our worst-performing songs. You just don’t know — it’s the temperature of the culture and what we’re currently dealing with outside of music too. You recently dealt with a major blow both personally and professionally — the death of your manager and friend Jordan Feldstein. It was a tragedy foisted upon us and far and away one of the saddest moments of our lives, and personally of mine. This is a kid I’ve known since we were in diapers. He was one of the most important people in my life from a very early age. How did you decide to restructure your management team in Jordan’s absence? It was brutal. When that all went down, I remember having to dig deep and say to myself, “Am I just going to let this fall apart, or am I going to try and hold this thing together?” In chaotic situations that are so horrific and so gut-wrenching, you have to kind of show up, you know? Take the reins cautiously but still optimistically. Take control without having too much to deal with. I thought to myself, “How do I make this all work again?” I know that he would have wanted me to hold it together. Every day. It will always be something that’s missing in my life. I break down; I cry. We built this together, and it will never be complete without him. But at the same time, we know he wants us to keep trucking. Like Bruno Mars and Lady Gaga, you chose to self-manage to a point. Why? I’m almost 40 and have been doing this a long time. I don’t need a babysitter. 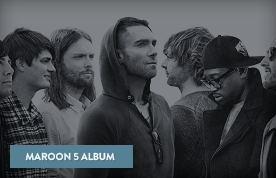 Is it true that you don’t engage the A&R at Interscope when it comes to Maroon 5 music? We tell them what we’re doing, and I have to say, the lack of an A&R person has been a godsend. I am so happy not to answer to that anymore. You’ve been a coach on “The Voice” for 15 seasons. What have you learned about the business of television? I’m not in the TV business. I am and I’m not. Anything we approach is done under the guise of how do we do things differently? Not how can we fit in? I think there’s an obsession with regards to fitting in because TV is kind of running scared. There’s this looming storm cloud of tech, which we’ve been experiencing in the music industry for a long time. People are going to stop watching certain types of television like they stopped buying albums and downloading songs. These things are unavoidable. I hope “The Voice” stays on the air for a thousand years. But the truth is, it may not. People want different. Because “Songland” is different. It gives a window into what writing songs is like — the kind of open stream of creativity. Charlie Puth is in the pilot, and you’ll see all these different producers and the way they would approach different songs, what they would do and wouldn’t do and what they would change and what they would leave. It’s not fake or calculated or canned. It’s almost like seeing an amazing birthday cake get made. So it’s the “Cake Boss” of music competition? Maybe in a more sterile way, it’s more like “Shark Tank.” People love to see the man behind the curtain — and I say the “man” but it’s a quote; they want to [see who’s behind] the Wizard of Oz. Really tearing those layers off of it is exactly what people love. Considering Maroon 5’s debut was more than 16 years ago, you have deftly navigated trends in a way few bands have managed to do in the aughts. How so? We wear that badge with pride because apparently being in a band is against the law at this point. Bands that are currently in the pop landscape — or have survived the pop landscape — who are they? Imagine Dragons, One Republic, Coldplay and Maroon 5. There’s your category for best group. The Grammys had to change the f—ing category because there weren’t any bands. Now any [featured artist] can make it. Goddamn it, we cornered the market — then you f—ed us, Grammys! So where do you see yourselves — are you pop, rock, urban? Something unique to this band is that we have always looked to hip-hop, R&B, all rhythmic forms of music, from back when we were writing our first album to now. Rock music is nowhere, really. I don’t know where it is. If it’s around, no one’s invited me to the party. All of the innovation and the incredible things happening in music are in hip-hop. It’s better than everything else. Hip-hop is weird and avant-garde and flawed and real, and that’s why people love it. … My goal is to make songs that don’t sound dated 10 years later. My main criteria for a song is, can I live with it forever? And if I can’t, I just don’t have the heart to do it. It’s that simple. Bring it! I mean, I don’t know, what the f— else do I want? I’ve got a beautiful family, a beautiful wife, two beautiful babies, and I’ve got money in the bank, and I’m really happy with my career and my output and the person that I’ve become and the person that I hopefully will stay. S—, it’s too daunting to imagine anything else. I feel like I’ve already achieved anything beyond my wildest dreams. Age is funny. When someone’s 26 and they talk s—, you’re like, “F— you. You don’t know anything. You’re gonna be my age and will hate the person you were when you said these things. … Look, I did as well as I could with my young male brain. I didn’t get arrested. I didn’t go to prison. To me, 40 seemed like old age when I was 26. Hell, 26 seemed old when I was 23, so it’s all relative.